- Materials SS-316, 316L, Hastelloy B/C, Monel, Inconel, Nickel, Titanium, Zirconium etc. We offer a wide range of Gas Induction Reactors . 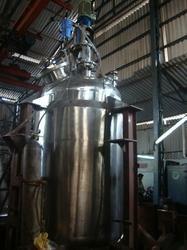 We are Leading Manufacture and Supplier in Gas Induction Reactors.